What’s the best time to travel to Iceland? This is often one of the first questions asked in connection with an Icelandic holiday. Behind this question is often the fear of extreme cold and rain, i.e. “bad weather”. Iceland has the reputation that it is always cold, grey and rainy. “Only the summer can be spent there to some extent,” say some people who have never experienced Iceland before. It is not without a reason that more and more visitors from all over the world get enthusiastic about Iceland and return again and again to the island in the North Atlantic. Iceland’s climate is much milder than generally assumed. It is characterised by its island location on the Mid-Atlantic Ridge and the influence of the Gulf Stream, which flows along the coast of Iceland to the west and south. Although the temperatures are clearly colder than e.g. in Central Europe, there is hardly any extreme cold even in winter. For the capital Reykjavik, average temperatures of 1-2°C are given in the winter months, which can fluctuate to -10°C downwards and +10°C upwards. So winters in Iceland are significantly warmer than in Canada, Russia or New York, for example. In summer the average temperature is around 15°C. It is astonishing that the summer in the north brings more warm days and less precipitation than in the south, although the average temperatures in the north are somewhat lower. Iceland’s location on the Gulf Stream means that the mild air of the Atlantic meets the cold air of the Arctic. This is the reason for the frequent and sudden weather changes that are often paired with strong winds. Not for nothing does Iceland have the saying: “If you don’t like the weather, wait five minutes”. 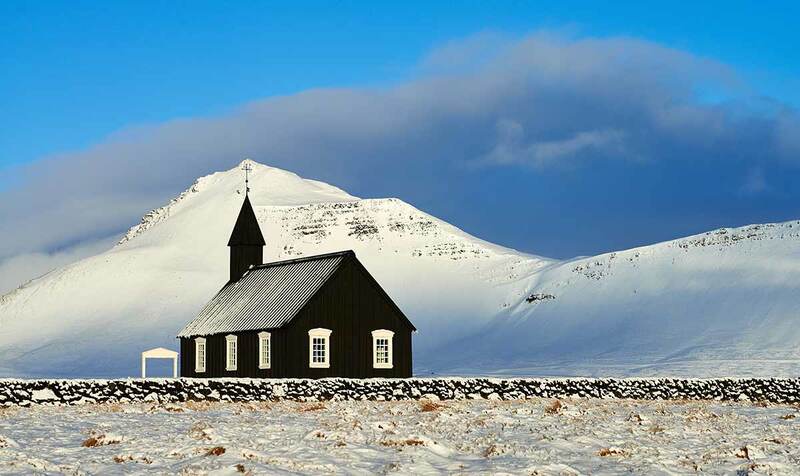 Iceland used to have only two seasons: Summer, which lasted from mid-April to October, and winter. 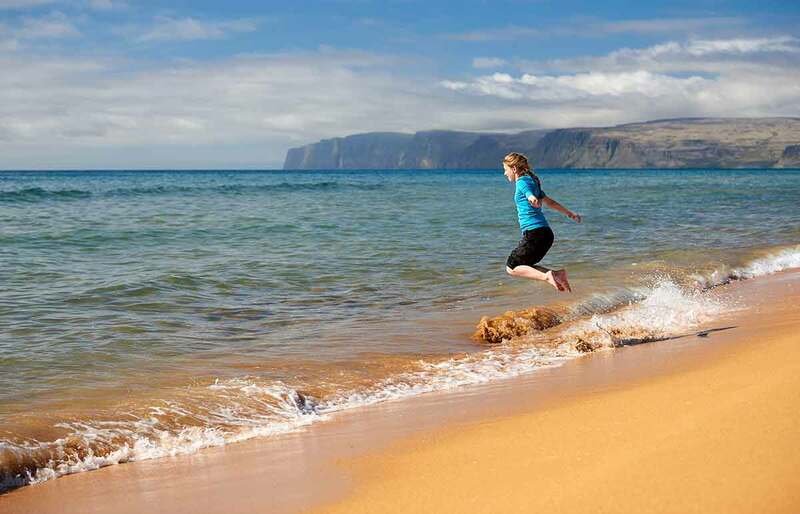 A few years ago there was only a short window for tourism in Iceland during the months from June to August. Those who wanted to go to Iceland at that time chose the summer months. The rest of the year the Icelanders were left home alone. That has changed massively in the last years. Iceland is now visited all year round. During the summer months June to August the weather is most stable, the temperatures highest and the number of rainy days lowest. Temperatures above 25 degrees are rare, but can occur, especially it the North or Northeast. The heat record for Iceland is over 30 degrees. If you want to reach the highlands via the F-roads (highland tracks), you can drive on them exclusively in summer. During the rest of the year the trails are closed – depending on the weather conditions. The months of May to July are also characterised by extremely long days, on which there is enough light for all kinds of outdoor activities until late in the evening hours. 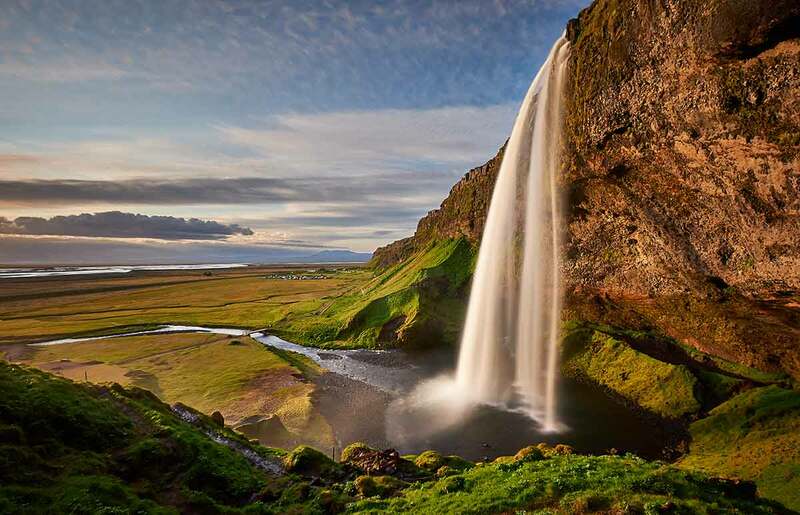 The biggest drawbacks of visiting Iceland in summer are the many visitors you will encounter, especially in the easily accessible and famous places, and the higher cost of hotels, cottages and rental cars during the high season. If you are staying in one of our holiday homes and do not have to rely on hotel meal times, you can also use the long days to visit Iceland’s attractions in the late evening or early morning. Photographers are not only rewarded with peace and quiet, but also with the best light. Autumn begins in Iceland at the end of August and beginning of September. There is more rain than in summer and the first autumn storms can occur. At the same time the landscape changes colour and produces the most fascinating yellow and red tones. Temperatures drop and range between 0 and 10 degrees. In autumn the chances are still quite good that the highland tracks are open and the highlands can be reached. At the same time, the chances of northern lights are increasing as the days get shorter. 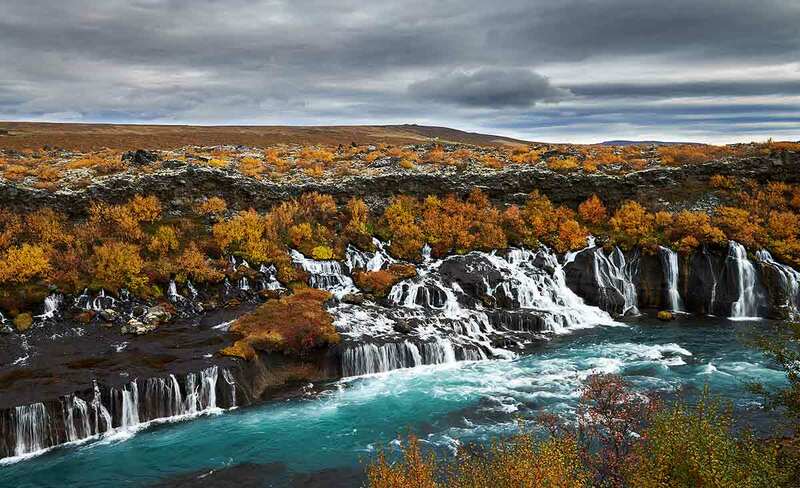 Autumn is considered to be the quietest travel season in Iceland. Especially for photographers a trip to Iceland in autumn offers the chance for great photos by combining the different possibilities. The days are sometimes very short and the temperatures drop again. The winter is characterized by sub-zero temperatures, snow and stormy days. Waterfalls freeze over and the landscape becomes white. In winter, the highlands can only be reached by helicopter or with specially equipped vehicles. Temperatures can drop to as low as -20 degrees here. 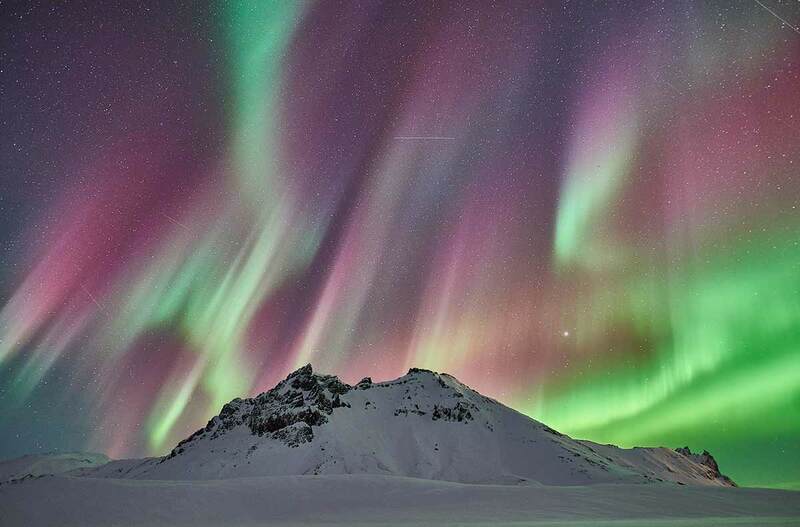 But the winter in Iceland offers a lot: First of all of course the chance to see aurora borealis. A clear sky and aurora borealis in the sky are the prerequisites to experience this fascinating natural spectacle. If you want to see ice caves, you should also plan your trip to Iceland for the winter. Skiers in Iceland have the opportunity to enjoy their adventure with a view of the sea or a fjord. Other winter activities include snowmobile tours, glacier walks, riding tours and whale safaris. Our guests at Nordic Lodges can relax in our warm and cosy cottages, or watch the northern lights or the winter landscape in the Hot Pot. In the spring months it can snow at any time. But the first warm rays of sunshine are also noticeable. In the coastal regions, temperatures are rising slowly. Nature, frozen under an ice sheet, awakens and the plants begin to bloom. For ornithologists (birdwatchers) spring is the best time to visit Iceland, because then the migratory birds return to Iceland. Those who love the mixture of winter and spring awakening should definitely travel to Iceland in the months from March to May. 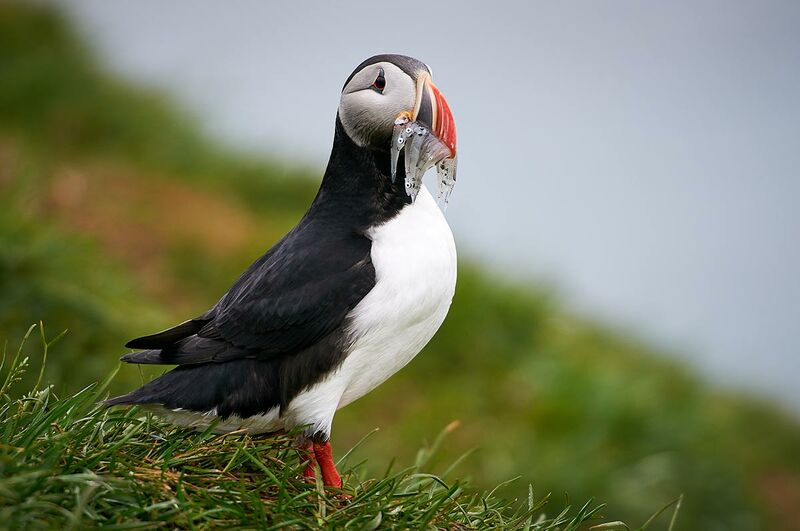 Puffins are usually observed breeding from the end of May to mid-July. Autumn, winter and spring do not (yet?) belong to the main travel season in Iceland. Prices for accommodation and rental cars are lower. There are also fewer tourists on the island. There is no “best travel time for Iceland”, although most visitors still come to Iceland in the months from June to August. Every season has its own charm. If you don’t mind the higher prices and the numerous visitors in summer, this season offers the warmest temperatures and the possibility to reach the highlands. Maybe the summer is a good choice for a “first time” in Iceland. If you are not afraid of lower temperatures and weather changes, you should definitely consider the other seasons as well. Cheaper prices and fewer tourists are the reward besides the changed landscape.